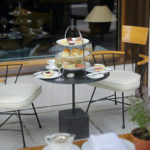 Treat someone special or indulge yourself with a luxury spa and champagne afternoon tea at the Athenaeum Hotel in the heart of London’s Mayfair. Experience five star luxury in sumptous surrounds at the five star Athenaeum Hotel. We have a superb deal for a luxury spa experience day with champagne afternoon tea for two from our partners at Virgin Experience. Relax in the Athenaeum’s REN spa, a tranquil haven to enjoy a little me time. 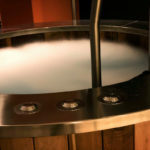 Unwind in the sauna, steam room and hot tubs. Your spa day includes two express treatments from a selection of hydrating facial, energizing scrub, massage or detox wrap. Alternatively, you can spend a full 60 minutes with a bespoke facial or full body massage. Your day continues with a luxurious champagne afternoon tea in the Galvin Restaurant. The Galvin Brothers’ renowned British Afternoon Tea showcases the country’s very best ingredients. Enjoy fresh finger cut sandwiches, pastries, cakes and scones with clotted cream and sweet preserves. 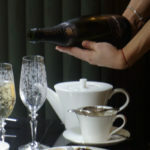 Afternoon tea is accompanied with a selection of artisan teas, not forgetting your sparkling champagne. This fantastic afternoon tea experience is available from our partners at Virgin Experience. Priced at £258 for TWO, discounted from £422.